Compiled by Lynn Ashton Merrill, Jr. In 1984, the Bradford County Historical Society published this book from information compiled from back issues of the Daily Review in Towanda, Pa. Its author, Lynn Ashton Merrill, Jr. worked for the Daily Review beginning in 1924 as a cub reporter until 1969 when he retired as acting managing editor. Five-hundred copies were instantly sold. The Society then decided to reprint a revised edition, including additions and corrections, with a name index. This is the revised edition. 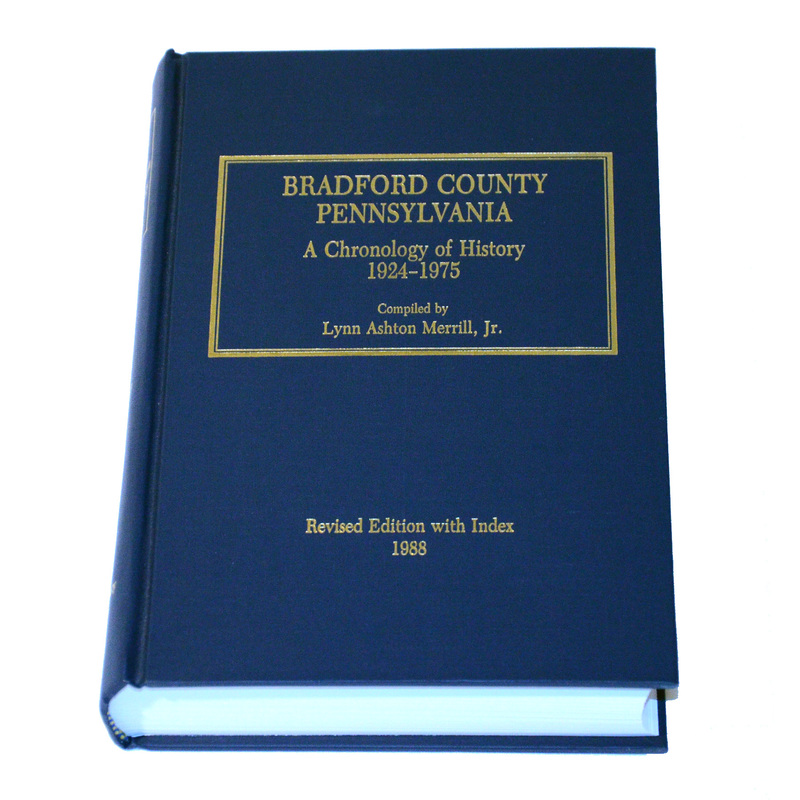 This volume carries on the chronology of Bradford County history that was started by Clement F. Heverly in his book, History & Geography of Bradford County, 1615-1924. Mr. Merrill used about 3,000 words per year to cover 52 years of Bradford County history.